Energy Psychology works with three major mind-body systems to rebalance and create health and well-being: the meridians (fourteen channels of energy used in acupuncture that are associated with organs and emotions), chakras (seven major energy centers that store our emotional history and vitalize our organs and endocrine glands) and the biofield or aura (several layers of energy associated with self-regulation of boundaries and relationships). Often called “acupuncture for emotions without needles,” Energy Psychology works from the premise that emotional problems are the reflection of a disturbed energy pattern within the mind-body system. This mind-body system involves complex communication between our neurophysiology, emotions, thoughts (conscious and unconscious) and behavioral patterns. Disturbances in any of these areas are also reflected in our subtle energy system. Although talking about problems is helpful for people to understand them, we mistakenly believe that if we understand why something is happening, then we can fix it. Turns out that you can fully understand the root of your problem – where it started, how it started, and so on – and still feel like you are getting punched in the gut with an emotional reaction when something triggers that problem. We need to do something beyond talk because talk is a left-brained phenomenon and doesn’t live where the emotions are and doesn’t reach the emotions. Energy Psychology allows us to restructure and balance disturbing thoughts in ways that re-harmonize our body-mind in the presence of what once used to trigger the strong negative emotions. By rebalancing the mind-body subtle energies within the context of disturbing thoughts and feelings, the trigger no longer has the ability to automatically elicit the fight-flight-freeze stress response or the stress chemicals associated with it. Energy Psychology methods can help release stuck energy that is associated with specific emotions and memories, memories that keep a person stuck in the past such as experiencing a humiliating experience years ago, but it feels like it just happened yesterday. These powerful healing methods engage and release disturbed energy as new neural pathways in the brain become available so a person doesn’t have to go back and experience their trauma in the same way it was stored in the brain; they can now move forward in life with energy that supports forward movement. Energy Psychology methods are taught to clients to help them self regulate between sessions and reduce symptoms of stress, anxiety, anger, guilt and trauma. There are a number of Energy Psychology approaches with the most common being the Emotional Freedom Technique (Tapping), which is meridian based. Thought Field Therapy, the original Energy Psychology technique, is also meridian based. Another approach is Tapas Acupressure Technique that involves meridians and the biofield. Comprehensive Energy Psychology incorporates the meridians, chakras and biofield in a way that treatment can be customized for the specific needs of each client. Joanne Karpinen has worked in the field of mental health for 36 years, and began studying different energy modalities 22 years ago. 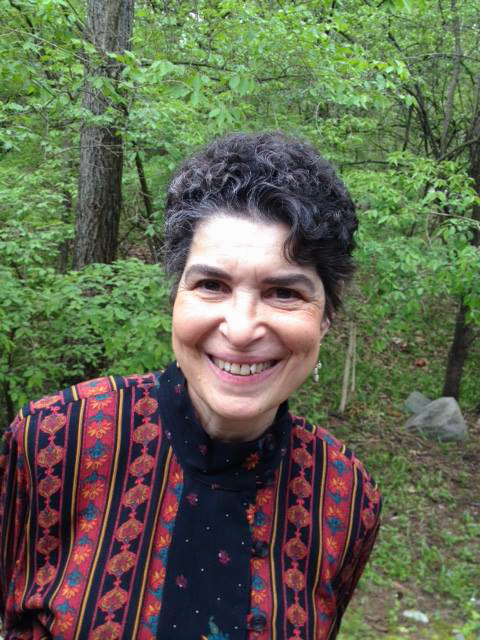 She has a private practice in psychology in Okemos and in energy medicine in East Lansing. She also teaches classes on Ageless Wisdom – the work of Alice Bailey. You can contact her at drkarpinen@aol.com or (517) 347-4618. For more information, visit integratedhealingjourneys.com.